Pad Thai, a signature dish of Thailand, is made with rice noodles, tofu, peanuts, vegetables, sugar and chilies, and often contains shrimp. Served plain, the noodles in pad Thai contain about 190 calories per cup after boiling. However, the calorie count in the completed dish varies according to the amount of each ingredient used. 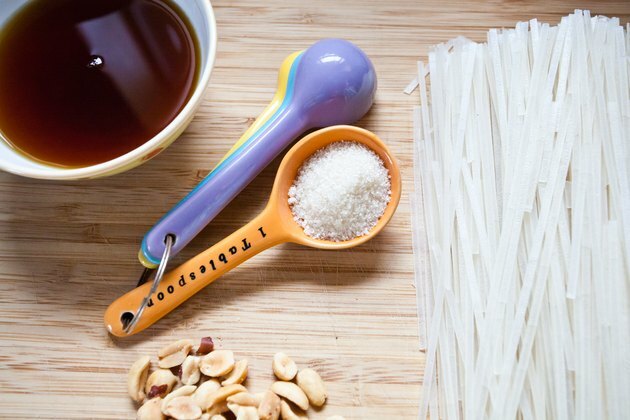 Despite the relatively low calorie count of the noodles, energy-dense ingredients such a peanuts and sugar, as well as oil used for stir-frying, can quickly elevate the calorie count of pad Thai. At a typical Thai restaurant, a full serving of pad Thai may contain about 940 calories, half what some people need in an entire day. 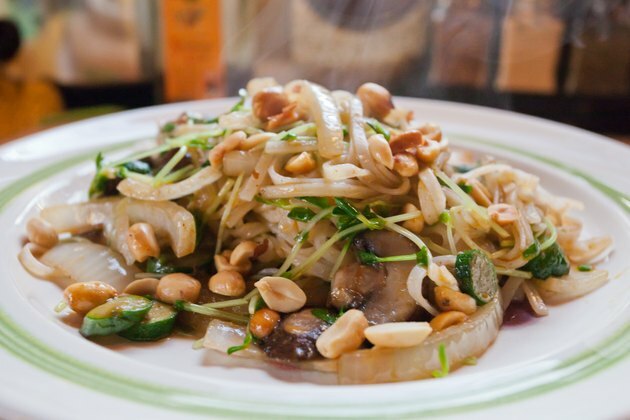 To reduce the calories in pad Thai, use just a sprinkling of nuts or omit them altogether. Add just a pinch of sugar, and use either tofu or shrimp, but not both proteins. You can also save calories by using cooking spray instead of oil. 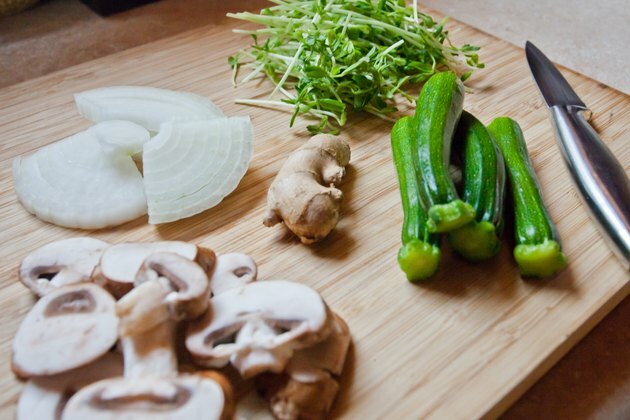 Add more vegetables than any other ingredient -- for example, fill half with broccoli and cabbage -- to reduce calories without sacrificing volume.